Although South Africa set a shining example in peace-building with its truth and reconciliation process to nations struggling with the aftermath of civil war, not many have followed in their footsteps. Before reaching for reconciliation, truth, especially about ourselves, can be hard to stomach. 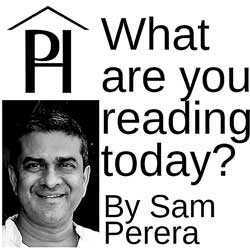 Within our unique set of parameters, in the past 100 years, Sri Lankans have lived close to violence. Of course, we are reluctant to examine the cause of violence – we ourselves are never to blame, it is always the Tamils or Muslims or even Sinhalese with class grievances rather than ethnic differences who instigate trouble by asking to be treated equally or even fairly. This closeness to violence, coupled with a protracted civil war has desensitised us to the horrors of armed solutions and many among us think that violence should be the first rather than last recourse. But is that really what we want? 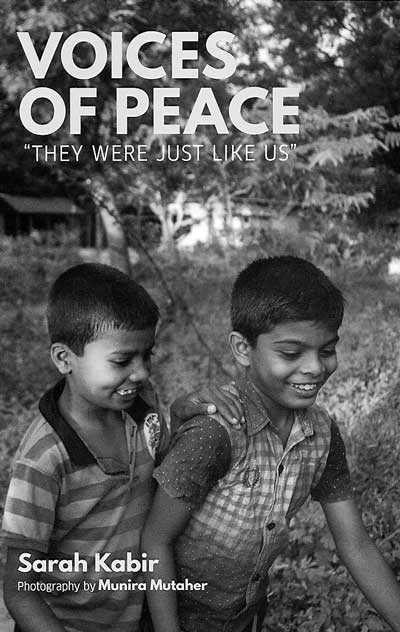 In order to help us reflect and perhaps operating on the premise that those involved in the fighting are the best placed to talk about it and the reasons behind our nearly 30-year civil war, VOICES OF PEACE interviews combatants from both sides of Sri Lanka’s bloody conflict – LTTE as well as SL armed forces and chooses stories from 20 among those who fought at the front lines, 10 from each side. Those who followed orders and those who gave them, men as well as women, those who began the war as children and those who have children of their own. Those who were rehabilitated and those who were not. In short, a diverse group that could credibly represent a cross section of our warring factions. The strength of Kabir’s book lies in its ability to open conversations. Through a non-linear narrative, using excerpts from various interviews, Kabir pieces together a story –that of our combatants’ and their motivation for joining the fighting. The reasons they give are as diverse as you could imagine, ranging from ideology to outrage to poverty. Hopefully, the conversations this book facilitates will help us avoid rushing in to armed conflicts. It closes on the positive note that “People should be brought to a place where they are all proud to say ‘I am Sri Lankan’. Sarah Kabir will participate as a featured author in this year’s Fairway Galle Literary Festival.